Many people wish they could study abroad, explore a new world, and experience cultural differences. Studying and living abroad is more challenging than you ever could imagine. However, the experiences that you will get is worth every moment you spend abroad. Studying abroad Studying abroad is a great adventure. It will help you broaden your horizon and increase your exposure to the outside world. Studying abroad is a great opportunity to connect to another part of the world internationally. You will meet with different people, feeling and experiencing their cultural differences. You will understand other cultures better when you live within a new one. For example, you will know Canadian cultures better if you live or study in Canada. Whether you love or hate your country, studying abroad will teach you to appreciate differences. For example, if you live in a tropical country, you will be happy to experience living in a country where there are four seasons, but at some point you will miss wearing shorts or tank tops year around. Experiencing other cultures will enable you to see your own culture from a different perspective. You can’t learn everything in a classroom. There is a time when you need to learn outside of your classroom and embrace a new environment. For instance, if you are studying foreign languages or the cultures of other countries, you won’t really learn in-depth about the languages or cultures unless you become a part of the community or the culture itself. If you learn a foreign language, you will learn more about the language when you immerse yourself in the local community and interact with people who actually speak the language you are learning. You also have the opportunity to study new subjects that may not be available at university in your home country. In addition, you will learn much more about how to survive and take care of yourself in a very different environment. If you study in another country, you will learn more about being independent and responsible for every decision that you make. You have to do everything by yourself such as cooking, going to groceries, getting an ID, opening a bank account, going to see a doctor, and figuring out how to live in a foreign country. No family members will help you make everyday decisions. This is the time you learn how to become an independent adult. You will learn to deal with different problems, learn to change when there is a need, and build a strong character. Living in another country teaches you what growing up means. Living abroad gives you a confidence boost. If you are a shy person, you will probably change once you study abroad. From buying groceries yourself to asking direction from strangers, you will learn how to feel confident around new people. Studying abroad is all about experiencing life outside of the box, challenging yourself, discovering new skills and abilities, finding new interests, networking and making international friends. You will learn to live outside your comfort zone. Studying abroad is all about life-changing experience and the opportunity of a lifetime. In other words, studying abroad will never make you look at things the same way again. 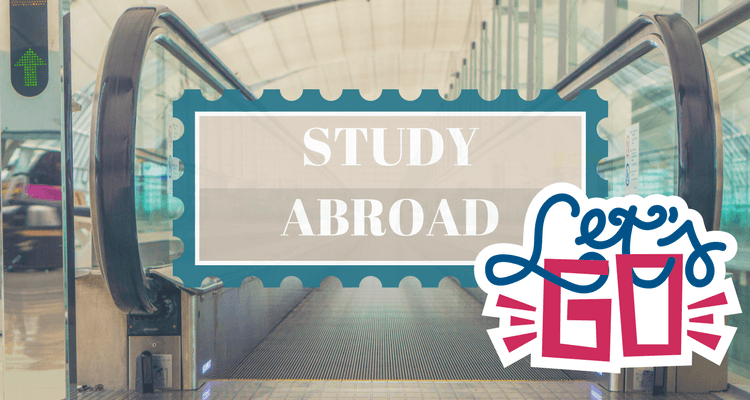 If you have experience studying or living abroad, please share your experience with us by leaving a comment below.